Home Is It Bad To Use Your Phone While Charging? Is it bad to use your phone while charging? This is one of the most common questions that are asked when people get to buy a new phone. One may think that the answer to this may vary from model-to model, but the truth is actually quite simpler. 1.1 Do Today’s Batteries Still Have Memory? 1.2 Are Off-brand Chargers Safe to Use? 1.3 Is it Okay to Charge Your Phone Overnight? 1.4 Is Turning the Phone Off Unnecessary? 1.5 Should You Wait to Full Capacity before Using Your Phone? 1.6 Will Putting the Battery in the Freezer Extend its Life? This question stemmed from a misconception that was brought forth by an unfortunate incident some years ago. It happened to a Chinese flight attendant named Ailun Ma. The flight attendant was using her iPhone 5 while charging it, and she was reportedly electrocuted for doing so. Now, upon hearing that story, one might think that it is indeed bad to use a phone while charging. However, the circumstances surrounding Ailun Ma’s incident actually tells us that it was through her own doing that she got electrocuted. It was later found out that that the Chinese flight attendant had been electrocuted because she was using a cheap, knockoff charger to charge her phone. So, is this proof enough that it is safe to use one’s phone while charging? Yes— so far there had been no reports as to the harmful effects of using a phone while charging, be it to battery life or the safety of the user, and other such aspects. However, the one prominent case that caused harm — Ailun Ma’s case — turned out to be because of faulty equipment that is not officially prescribed by the phone’s manufacturer and not because of charging while the phone is in use, per se. Really, the only real “negative” effect (if you could call it negative) that should result from using your phone while charging it is the charge time that will be noticeably longer than usual. This is obvious, of course, because you are using part of the energy that is supposed to be going to the battery and stored. When the battery is fully charged, then the charging process will automatically stop, and the electricity from the outlet will bypass the energy cells. It will continue to provide the power your phone needs when plugged in, for as long as you use it in that state. In any case, you should still be wary of using it while charging when it heats up to abnormally high levels. Granted, this might be a problem with a different component of the battery and less likely about the “charge-and-use” process, but it pays to be alert with these kinds of situations. You can troubleshoot why your phone is heating up, or bring it to an official repair store to check if there is something wrong with it. However, there is no empirical evidence that your phone heating up when you use it while charging is a sign that you should not use it anymore; it is just that maybe there is something wrong elsewhere in the components. Think about it this way: when a phone is set to sync data to the cloud, it most likely only does so when it is idle. So, when you charge your phone, it is idle. This means that most of the data syncing happens while your phone is plugged to the charger. This, in turn, means that even if you do not use your phone while charging, your phone is doing tasks and the processor and memory and the its WiFi receiver is as busy as ever— as if you are still using it! This should be enough to illustrate that phones are okay with being used while plugged in. So that should illustrate that there really is no harm in using your phone while charging it— it is just a subject of misconception. And while we are on the subject of misconceptions about phone batteries, here are some other you might be interested in learning about. Do Today’s Batteries Still Have Memory? Some people still think that they need to remind their phone batteries where the zero discharge point is, to the point that they do not charge their phones until it is well below 10 percent charge. This is called deep cycle charging and actually does more harm than good for smartphone batteries. 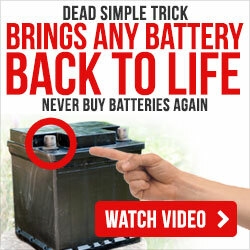 This belief actually stemmed from another misconception that modern batteries still possess “memory” like in the decades-old nickel cadmium days of rechargeable energy cells. However, today’s lithium-based batteries do not have memory anymore, and you can freely charge them when they’re just below 80 percent. Frequent charging and discharging should have no harmful effects on the life of the modern phone battery. Are Off-brand Chargers Safe to Use? Off-brand chargers, while not as optimized as their official counterparts, still work as well with charging your phone, as long as they come from a respectable company (like Belkin, for example). These will charge your phone just fine. So if you find yourself in an emergency wherein your original charger suddenly failed, do not be afraid to run to your nearest convenience store and buy that off-brand charger to help you in the mean time. Note that when off brand chargers are not the same as cheap, knockoff chargers that are poorly made and were obviously just mass-produced for a company to earn a quick buck— those are the ones you should avoid. Is it Okay to Charge Your Phone Overnight? This one is also a common question, because of the idea that phones will overcharge their battery when left plugged in for a extended periods of time— for example, overnight, while you are asleep. However, it has been proven and is widespread knowledge that today’s phones smart enough to figure out when their batteries are at full capacity. The electricity from the outlet will bypass the battery when it is full, and will regulate the energy so that it is enough to power the phones idle state, or whatever background tasks it has running overnight, like syncing data to the cloud and such. For more information about it, then click here. Is Turning the Phone Off Unnecessary? Some people seem to think that turning off their phone will cause damage to battery life. This is completely false. In fact, according to Apple experts, turning off your phone every once in a while (they recommend twice every week) will actually help with preserving battery life. This is not isolated to Apple phones, though. Android phones also benefit when they are switched of once in a while, Developers believe that this could help refresh the battery, and would then optimize its operation and prolong its battery life. Should You Wait to Full Capacity before Using Your Phone? This is another misconception. In general, phone batteries perform optimally well when they are between 40 percent and 80 percent of charge. 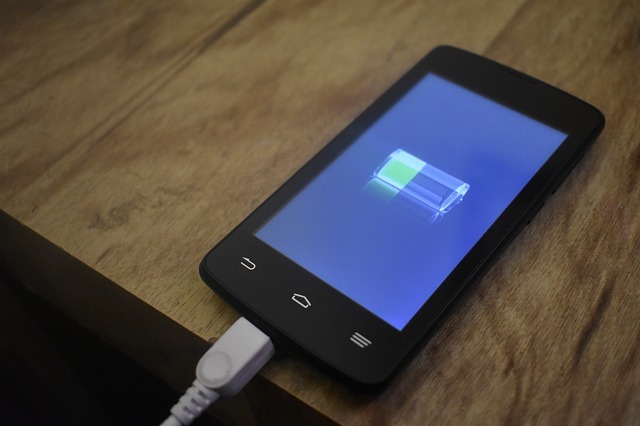 You do not need to wait for the phone to fully charge before unplugging it, or using it. Just as we detailed in our main section earlier that you do not need to worry about the consequences of using your phone while charging, then there also are no detrimental effects when you unplug or use your phone even when it is not fully-charged. Another note: most newly-purchased phones ship at half-charge. There are people who believe that they should charge their phone to 100 percent before using it. While there is nothing wrong with charging your battery first before using it, we think it should be said that there really is nothing wrong with using the phone out of the box. You can always charge it later, of course, but the takeaway here is that phones are at their most optimal when operated between the above mentioned charge levels. Will Putting the Battery in the Freezer Extend its Life? Lots of people probably have tried this in the past, and we would not be surprised to find out that they failed. It is well known that extreme heat does batteries harm, but it should be known that the other end of the spectrum —extreme cold — is horrible for battery life, as well. This is also why people who live in places where the climate is extremely cold or extremely hot are advised to take better care of their batteries. They may have special procedures or equipment, like coolers or heaters to prolong battery life. Room temperature is always the best possible setting for you to use your battery. And besides, batteries already generate enough heat already, anyway, so any excess heat will only be harmful to them. Likewise, extreme cold will be harmful to the lithium ion composition that is featured in today’s smartphones. So, we answered the question “Is it bad to use your phone while charging,” and discussed other myths pertaining to smart phones. There is little else to discuss about the matter, as these answers are widely-accepted as facts. Now that we have put some misconceptions to rest, we hoped that this article helped give you an insight about your phone battery. There are proper ways to use them and maintain them, but sometimes the things we do are actually unnecessary or can even do more harm than good.